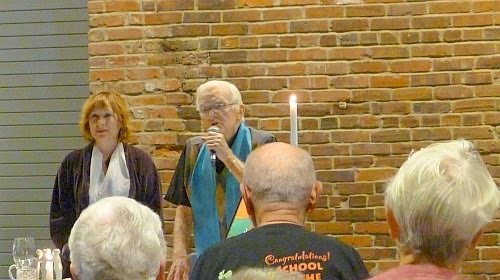 A great and beloved Jesuit priest died at the age of 94 on Aug. 11, 2014. He was Fr. Bill Brennan of Milwaukee, Wisconsin. He did many things in his life: He worked as a missionary in British Honduras (Belize) for 17 years. The suffering of the poor rooted him to social justice and to our Latin American sisters and brothers. Caribbean,” which some say reveals much of his experience. He did all these things but what I most know him for was that two years ago he celebrated Eucharist with me at the annual School of the Americas Watch Vigil in Columbus, Georgia. 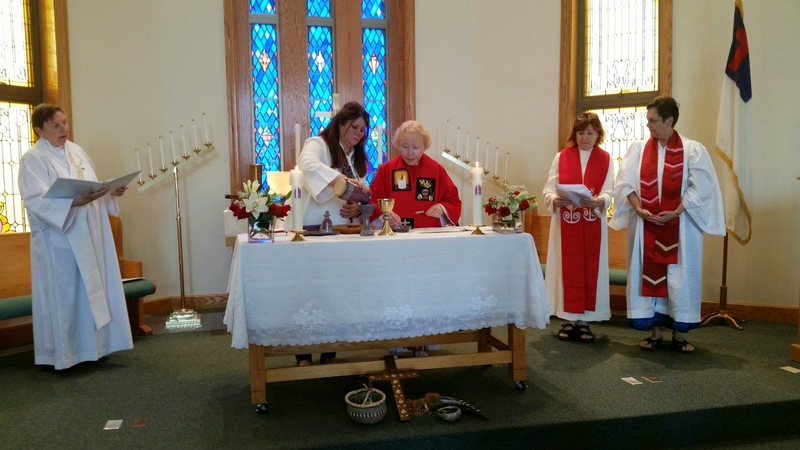 For this action, his Jesuit order told him he could no longer publicly celebrate Eucharist, even for his beloved Hispanic community at St. Patrick’s in Milwaukee. Moreover, he could not present himself publicly as a Catholic priest or talk to media. He was told he could no longer leave Milwaukee without permission or take part in protests as a Jesuit. It’s just like Fr. 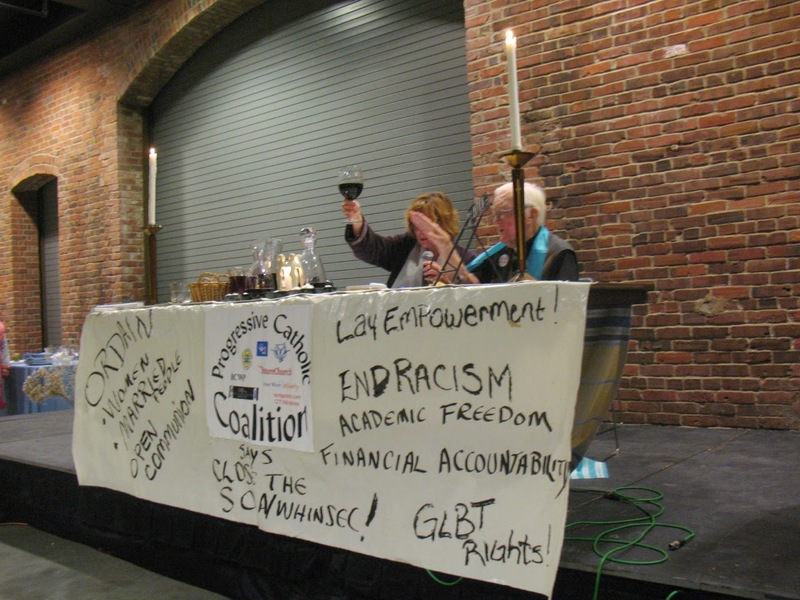 Bill Brennan to evoke a smile from us and share solidarity --even from the coffin. 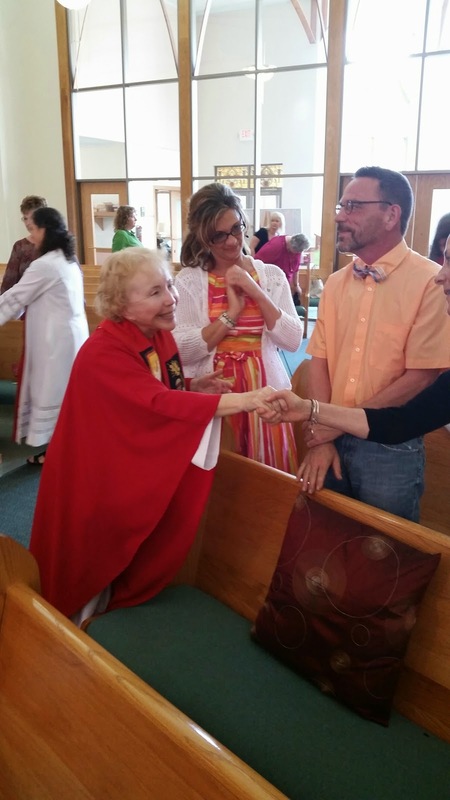 Friends attending his funeral describe him as wearing a white surplice, stole and a yellow button with the words: “= Equal Rites, Ordain Women.” He adopted the slogan from Women’s Ordination Conference and had buttons made a few years ago and gave them out to visitors at St. Camillus Jesuit Community in Milwaukee, where he lived. He had been paralyzed for more than a year. In early July when I last saw him, I had the feeling it could be our farewell visit. 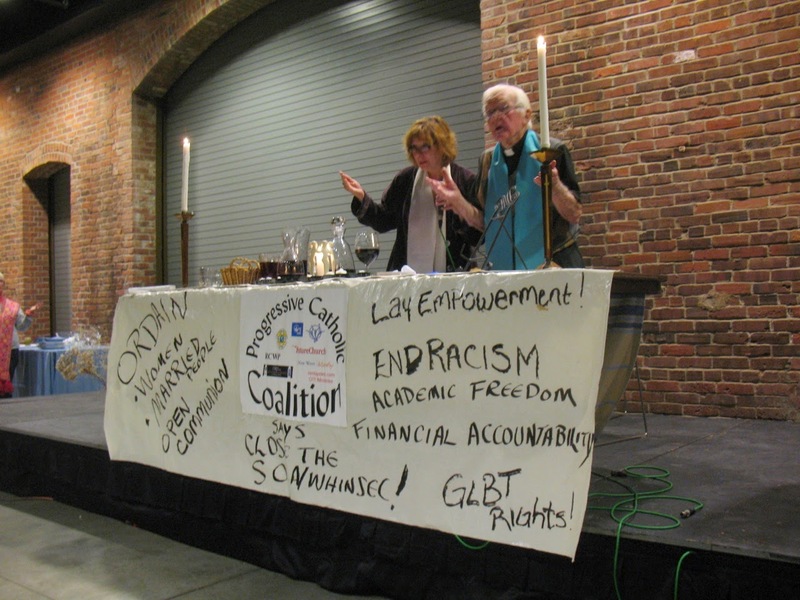 I first met Bill at our Annual School of the Americas Watch Vigil in November 2010. He was having difficulty maneuvering his walker on the uneven Ft. Benning Rd. “You mean civil disobedience? Could I go with you?” he asked. “We’ll probably be in jail by then,” I told him. It was no easy task making our way up the rutted road and then crossing onto the grass. Sometimes Fr. Bill would walk; other times I pushed him in the walker. We moved at a snail’s pace as we passed the police squads along the way with gads of plastic handcuffs hanging on saw horses like wash on a clothesline. There seemed enough to arrest the thousands of us there plus everyone else in Columbus, Georgia. We greeted the many cops along the route, the most that I had ever seen on Ft. Benning Rd. They seemed to take note of our walking together. Finally Fr. Bill and I caught up with the others and took part in blocking the traffic on the highway, singing, and sharing with those in their cars a brief history of the suffering caused by SOA grads. Our action took place in what seemed a very short time, and then the police told us to get on the curb. While the other activists were being arrested and placed in squad cars, I noticed that some were not being handcuffed. Then, too, a different police officer seemed assigned to Bill and me. He took down our information as Bill sat in his walker. “Oh, you and the padre won’t be going to jail. You’ll have the same charges but a different judge,” he told us as he handed out our charges, court date and time. As the policeman drove away, Bill looked at his watch. It wasn’t six o’clock yet. We knew he couldn’t make the walk back, so we called a taxi for the six blocks to the bus that would take the Milwaukee contingent to Bishop Gumbleton’s celebration of Eucharist. Bill did make it in time for the Mass. I later learned that seven of the “activists” were spies for the police. Those were the ones who were not being handcuffed. The others spent the weekend or more in jail and were fined thousands of dollars. Bill and I had our day in court, too. He was fined $50. I was fined $500! We were both given six months of unsupervised probation. 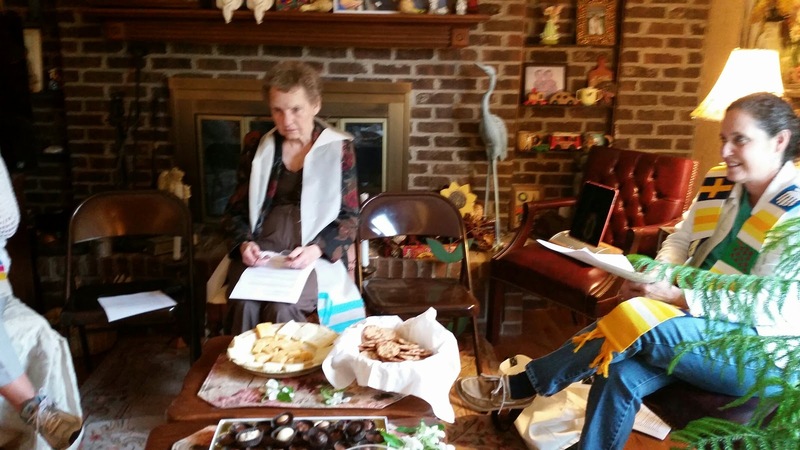 The following year, Bill attended the Eucharist that I celebrated, joined by Franciscan Fr. Jerry Zawada – another courageous male priest who like Marynoll Fr. 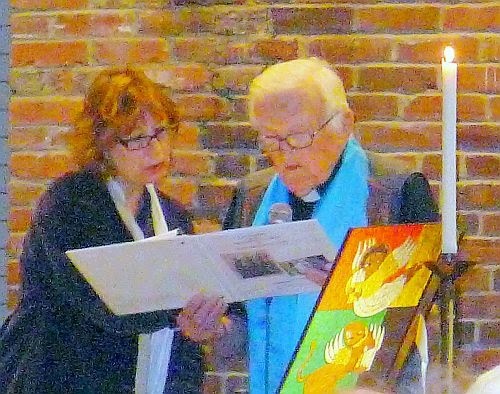 Roy Bourgeois and Fr. 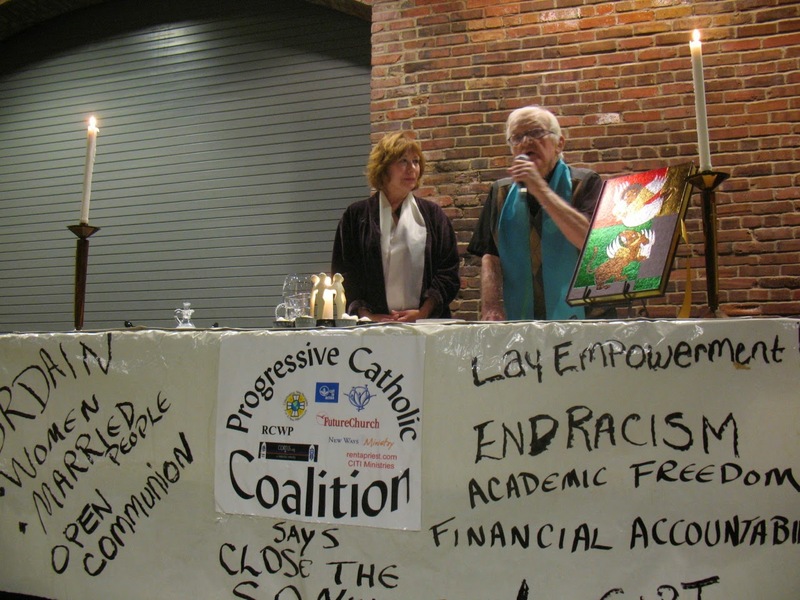 Bill Brennan suffered persecution for supporting justice for women priests. 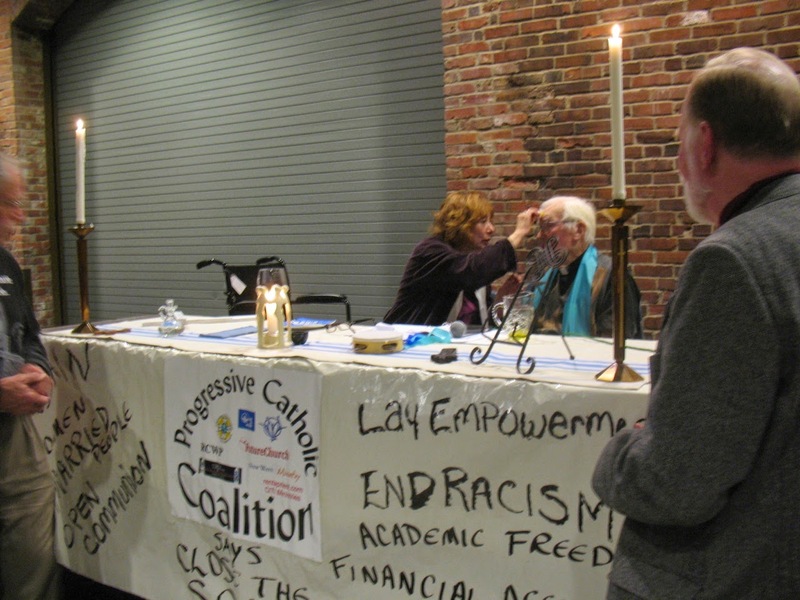 In 2012, Bill decided that he would be the one to celebrate Eucharist with me at the SOA Watch Vigil. I’ll never forget his beaming smile as he walked toward the Eucharistic table with peacemakers cheering and moving us forward. He will always be one of my favorite brother priests: full of conscience, full of justice-making, full of divine humanity, including the gift of making people laugh. Have you ever known of a male priest buried with a button in support of women priests? Perhaps Bill has set an example for his fellow priests who are afraid to speak out while they’re living in favor of women priests… including his Jesuit brother, Pope Francis. 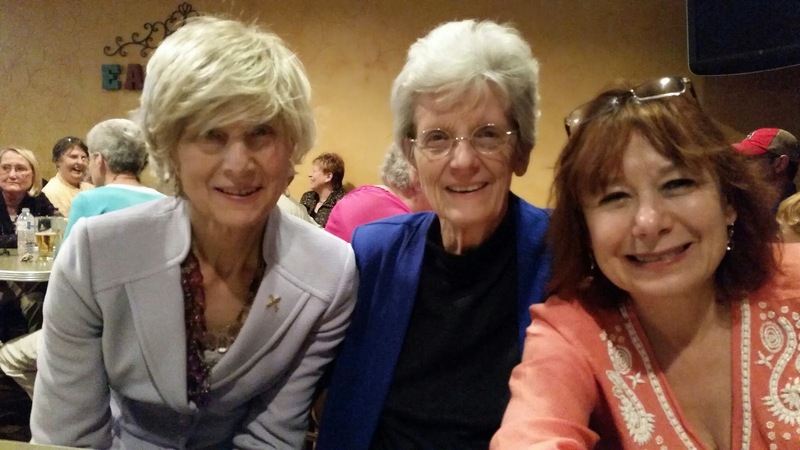 Judy Lee and Judy Beaumont, women priests, from Florida, visited Adele a woman priest with the Association of Roman Catholic Women Priests in San Antonio this week. 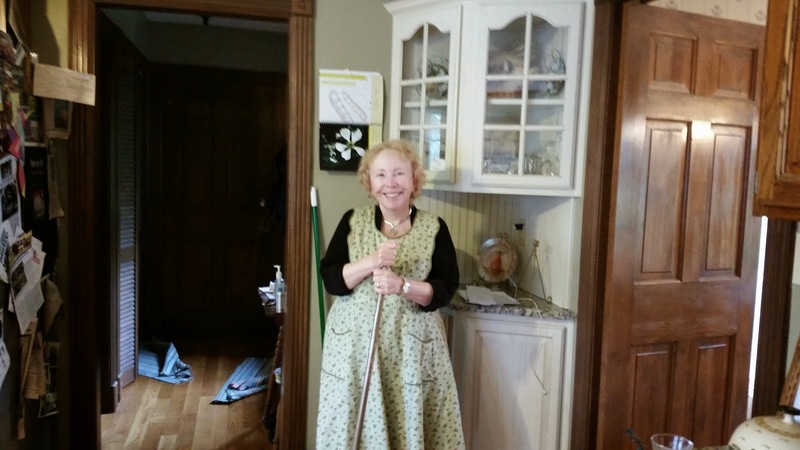 Adele is healing from a broken shoulder and doing well. She is a radiant reflection of Christ's love to everyone she encounters. 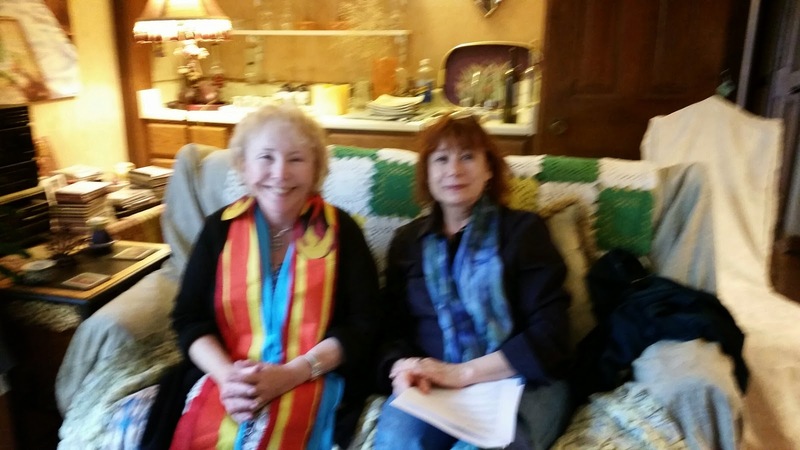 Thank you, Judy and Judy, for sharing your loving visit with us all. 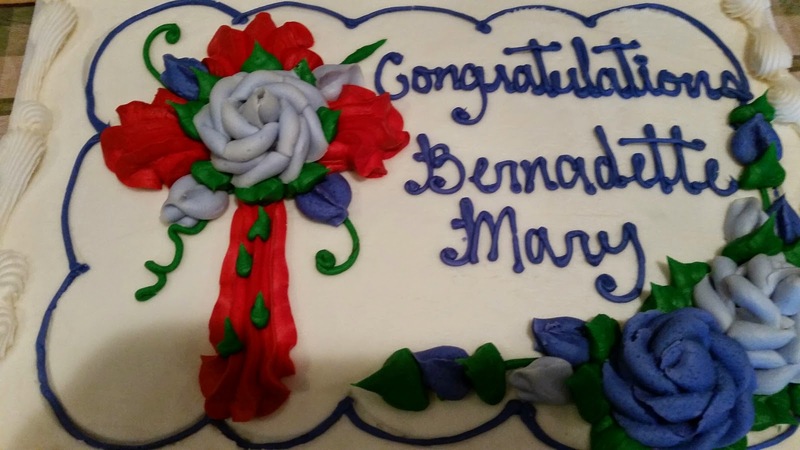 Today we rejoice as we ordain Bernadette Mary Baker a priest in the Association of Roman Catholic Women Priests. 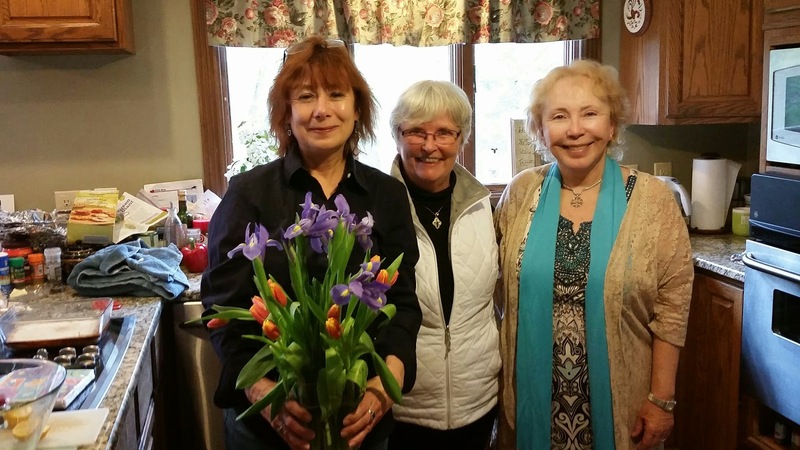 Bernadette has committed her life to the Gospel. 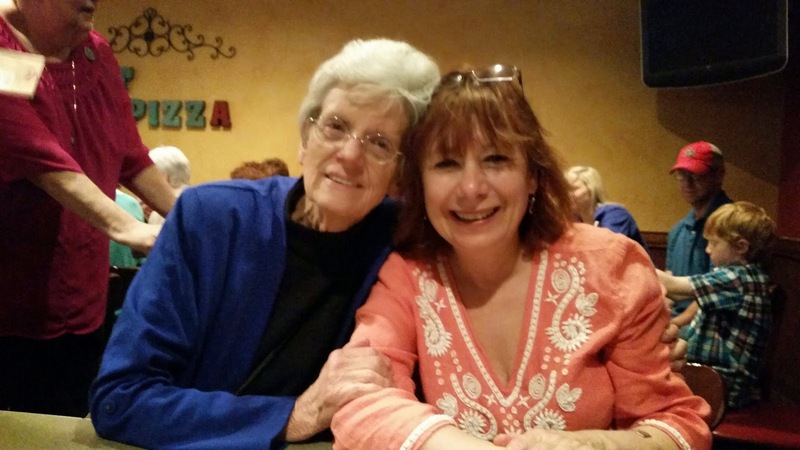 She has dedicated her life to living God’s love and sharing God’s healing, compassionate presence. 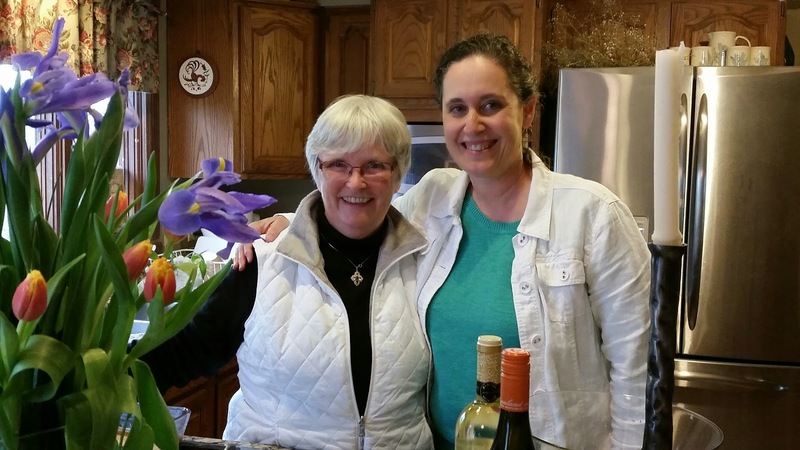 As a priest, Bernadette will be a sacramental minister, praying with those who call upon her in need of reconciliation, anointing, and Eucharist. She will serve the broken and dying Body of Christ. 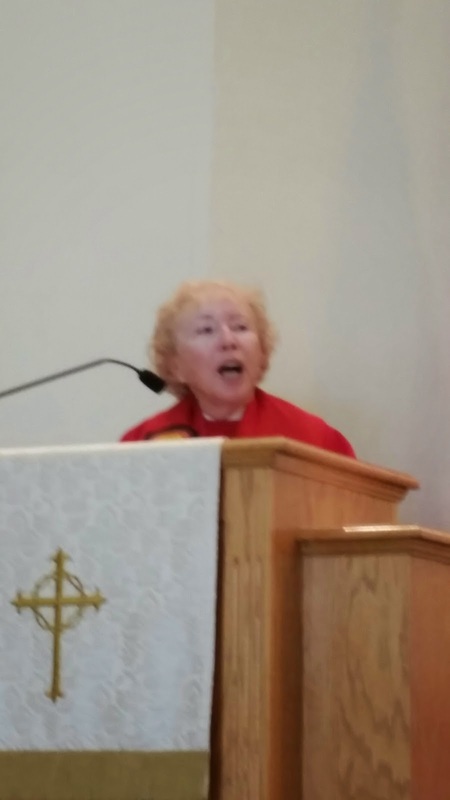 Bernadette not only shares the Word of God but is a “living word of God. She proclaims by---- her being in love with God ---that God is always present loving , healing, empowering and transforming each of us on our journey through life. She offers comfort to the dying, assuring her sisters and brothers that our ultimate reality is in God’s embrace. 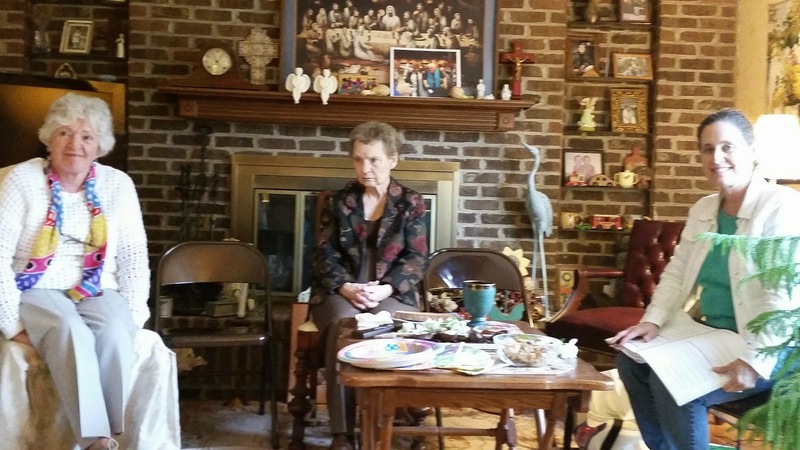 As a priest, Bernadette will live the Gospel as a faithful apostle of God’s compassion. Joanna, Suzanna and there were many others. By choosing women disciples, Jesus clearly challenged the patriarchal, cultural and misogynist norms of his times. By choosing women, Jesus broke the rules and empowered the oppressed. This led him to ministry on the margins and bitter conflict with the religious and political authorities. This led to his death on a cross. Mark Sandlin’s commentary on Jesus death on the cross portrays a portrait of a Jesus who lived dangerously and who reflected the fullness of God’s love in action. “Jesus died on the cross because he offended those in power. 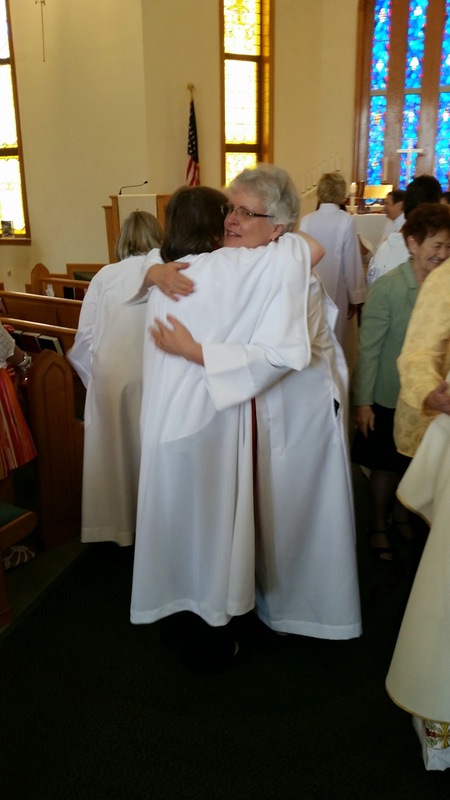 So too, the women disciples in the Gospel understood what love in action felt like. During his execution on the cross, the women stayed for the entire gruesome ordeal until he died. They did not flee as the male disciples did. 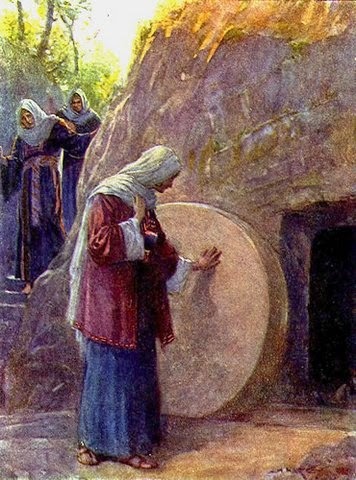 The women ventured into the dark of morning to anoint his body and discovered the empty tomb. Yes, the women disciples knew all about what love looked like in action. It was the women who became the first witnesses given the apostolic commission to “to go and tell” the good news that Christ is risen, but the male disciples did not believe the testimony of the women! It was the Risen Christ who appears first to Mary, not Peter, and calls her to be the apostle to the apostles to proclaim the good news of the Resurrection, the central belief of Christianity. In our time, God is calling women and men to be apostles of Gospel equality, compassion and justice! In the early church women were apostles, prophets, missionaries, healers, teachers and leaders of house churches. In Romans 16:1-7, Paul greets Deacon Phoebe, as an influential leader in the local church, praises Junia and her husband Andronicus as “outstanding apostles”, and greets women leaders of house churches. 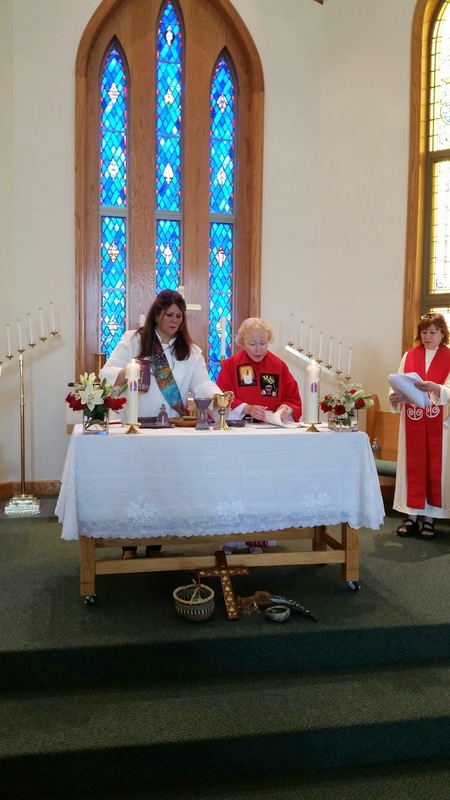 Like Prophet Miriam, Deacon Phoebe, St. Mary of Magdala, and Junia, women priests in grassroots communities are creating a more prophetic, compassionate, just church where all are invited to celebrate sacraments. Here all are family, and no one is left out or shunned because of sexual orientation, marital status or for any other reason. Here all are called to be prophetic rebels and live life on the margins to challenge unjust systems and structures that dominate and abuse our sisters and brothers in the church and in our world. Here we are all called to be love in action. 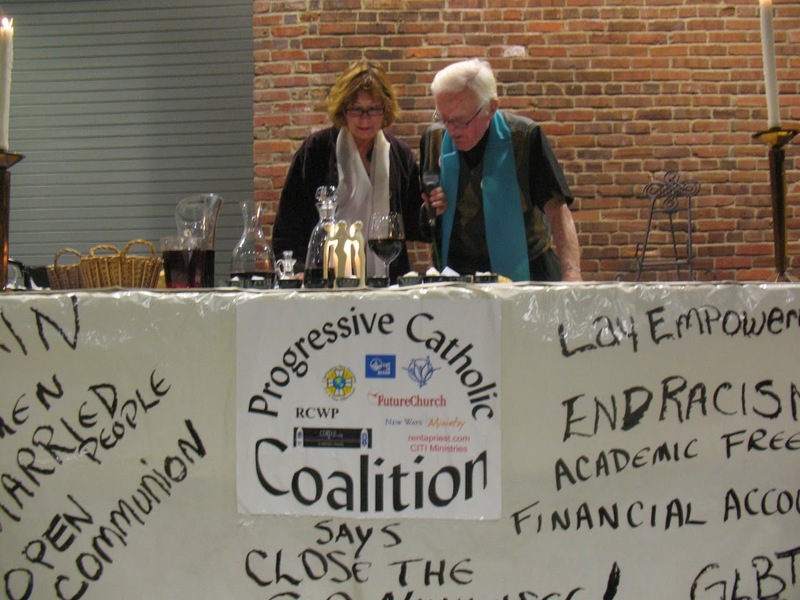 In July 2014, when a local homeless shelter announced that it had invited a woman priest, Debra Meyers, to pray at an event, the Archdiocese of Cincinnati withdrew funding for a washer and dryer. 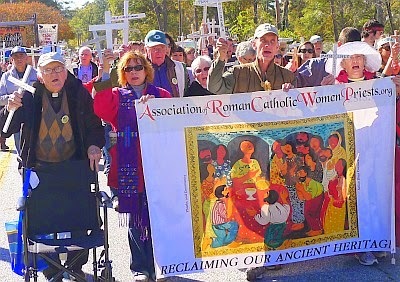 When the Association of Roman Catholic Women Priests heard this news, we immediately made a donation to cover this need. The good news is that many others also donated, so in the end, the Women’s Shelter received such abundance that they gave away money to other organizations that served people in need. 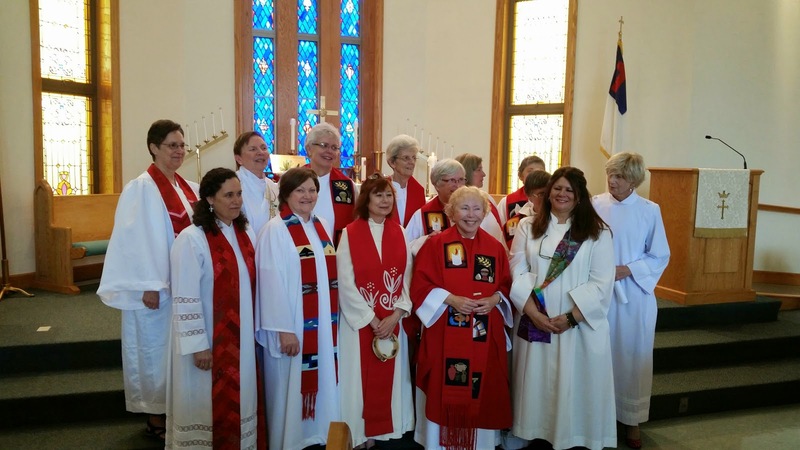 In 2002, 7 women were ordained on the Danube, in 2006, 12 women were ordained in the first U.S. Ordination in Pittsburgh. 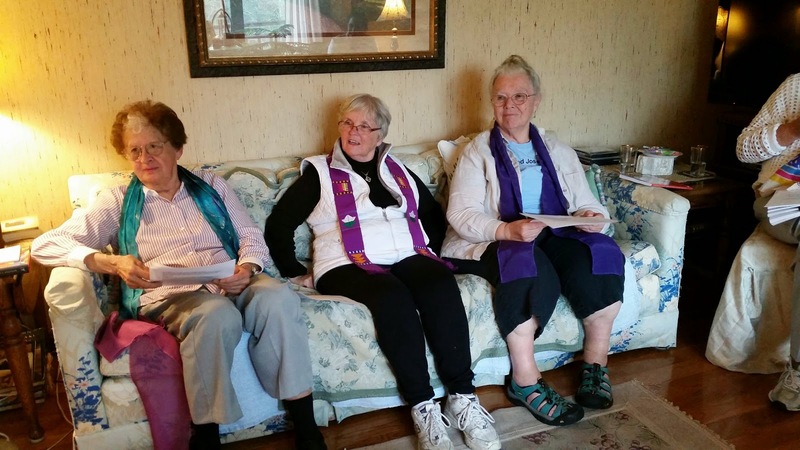 Now there are over 200 in the international Roman Catholic Women Priests Movement in Europe, U.S., Canada, and Latin America. 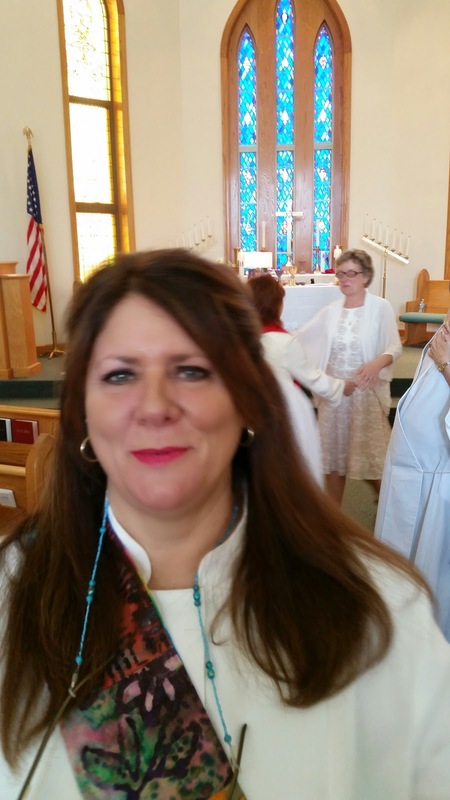 Now we ordain our beloved Bernadette, a priest. May God’s tender love flow through you in your priestly ministry, Bernadette as you share love in action with your sisters and brothers, the Body of Christ, in this beautiful community. I am sure that Miriam, Mary of Magdala and the faithful women in the Gospel join us today in rejoicing with our sister, Bernadette! Sisters, a word of advice, now that Pope Francis is smiling with you, perhaps, you could mention your support of women priests and how many of you are called to priesthood. No matter how hard the Vatican tries to squelch the Spirit, you have demonstrated how Spirit-filled you are! The Spirit in the people of God has always been with you! "A controversial three-year program of Vatican oversight of the main leadership group of U.S. Catholic sisters has come to a curt and unexpected end, with the sisters and the church's doctrinal office announcing that the goal of the oversight "has been accomplished." The Vatican's Congregation for the Doctrine of the Faith has accepted a final report of the doctrinal assessment of the Leadership Conference of Women Religious, "marking the conclusion" of the oversight, the Vatican announced Thursday. 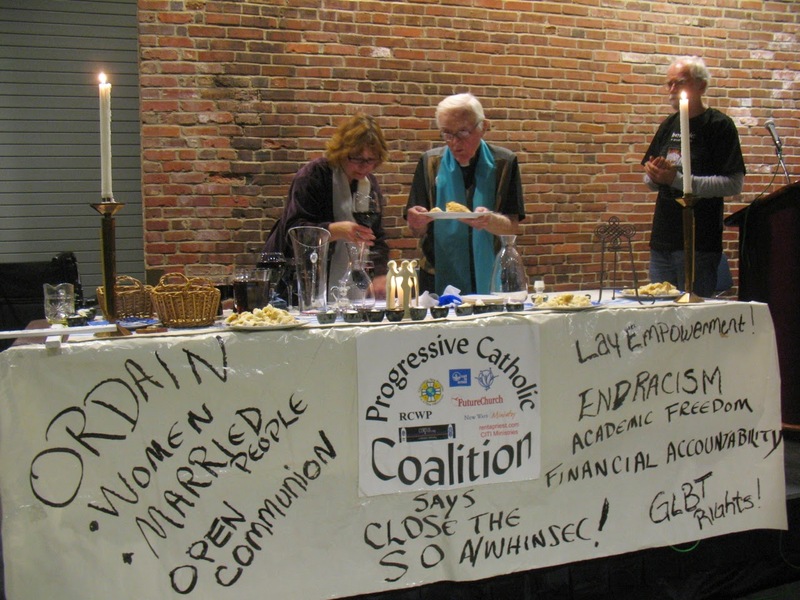 The lengthy process saw the Vatican issue what the sisters called unsubstantiated sharp critiques of their work and life while appointing Seattle Archbishop J. Peter Sartain to oversee a program of reform for LCWR. Thursday's news release says the Vatican and the sisters both noted the "spirit of cooperation" of the ordeal. 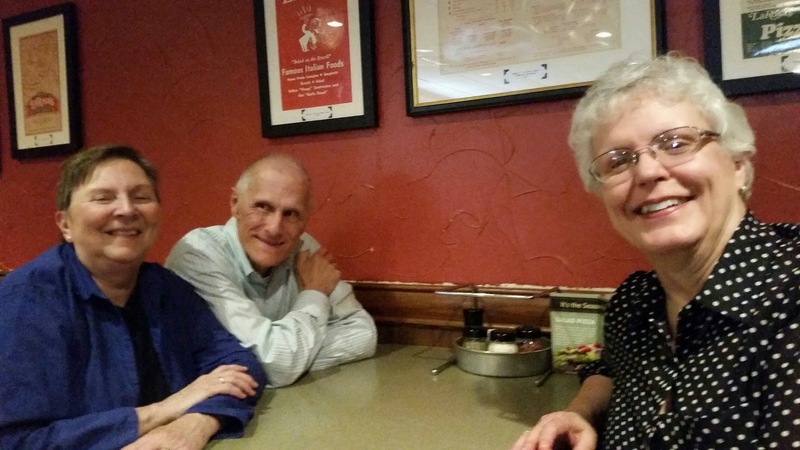 The end of the mandate, the Vatican release says, came in a meeting Thursday morning between LCWR officers, Sartain, and officials of the Vatican's doctrinal congregation. 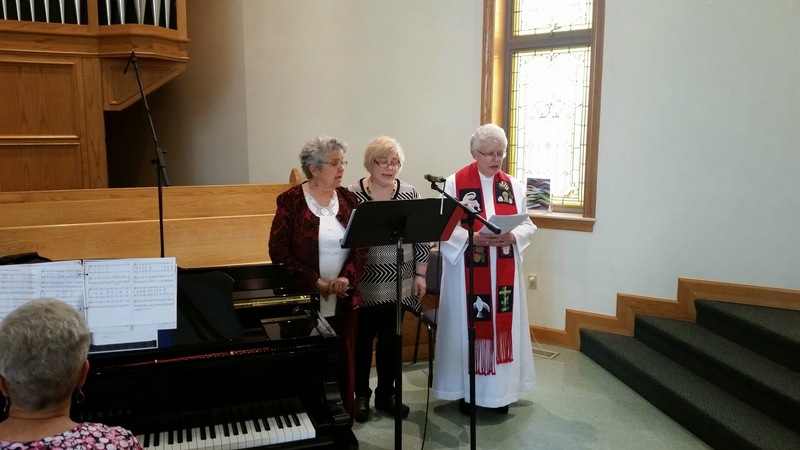 Sartain and the LCWR officers presented a joint report on the implementation of the mandate, which the doctrinal congregation approved. 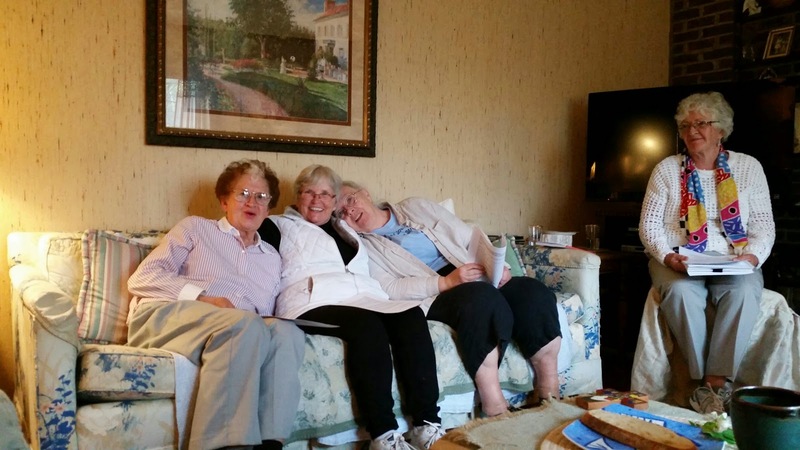 LCWR leaders also had a 50-minute meeting with Pope Francis later Thursday during their annual visit to Rome to visit Vatican offices." 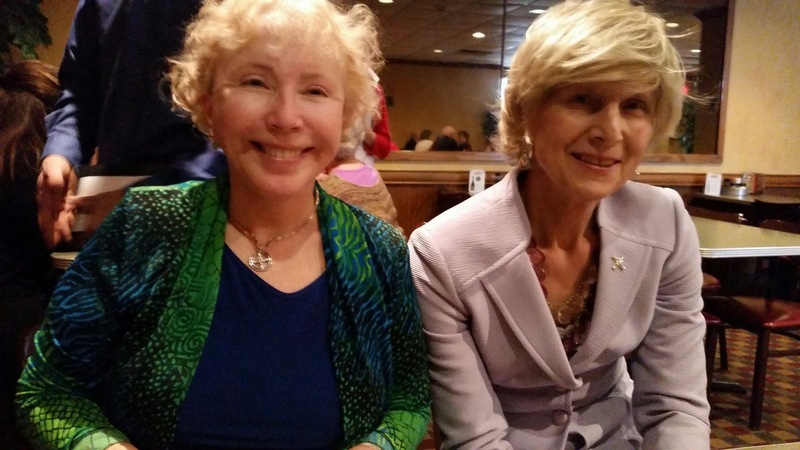 "Vatican : Buckle up for Francis third Year," Time for a Conversation with Women Priests? Hurray for Pope Francis for focusing the church on living the beatitudes. He is promoting Jesus priorities: feeding the hungry, clothing the naked and visiting the imprisoned for all of us. He has tackled some major internal church reform issues such as Vatican finances and changing the rules of the Synod of Bishops so that there would be open debate. Moreover, Francis has promoted pastoral care of divorced and remarried Catholics and a non-judgmental attitude toward gays, lesbians and transgender. He has put social justice issues, including solidarity with immigrants, economic justice and the rights of workers at the top of his agenda. Francis has confronted the greed of the international weapons' industry as a reason why governments go to war. He has begun important reforms in the Curia: Why is the opposition within the Curia so vehement about holding bishops accountable for predatory priests? In this article, Michael Sean Winters mentions that most Catholics don't understand the church's teaching on conscience. How true! The church teaches that one must follow one's conscience even if it is in error. Imagine how many women would not have stayed in abusive marriages if they were aware that they had this freedom of choice? Since women are half the population and suffer greatly from a male-celibate priest perspective, we believe that this is another reason why women priests are imperative to a more real and healthier pastoral approach to relationships. Ask any woman who is getting a divorce and you will discover the need for women priests in pastoral care in our church. 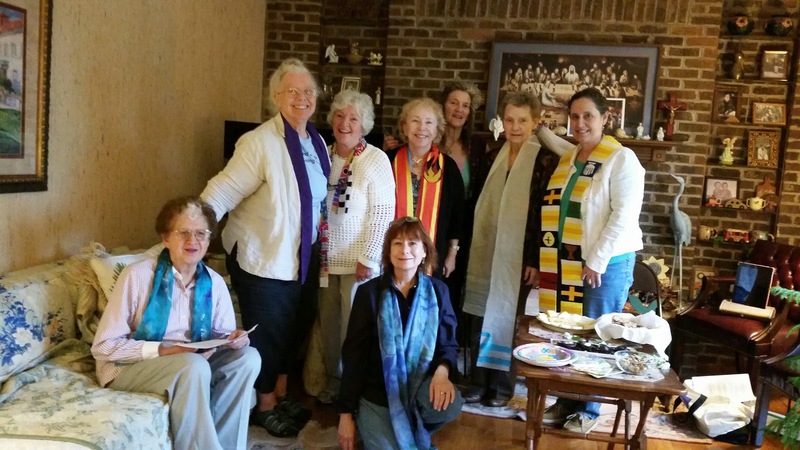 The closer Pope Francis comes to touching the realities of the marginalized, including the bond between Mother Earth and women, the closer he will be to making the Holy connections between all oppressions, including abuse, violence and misogyny. 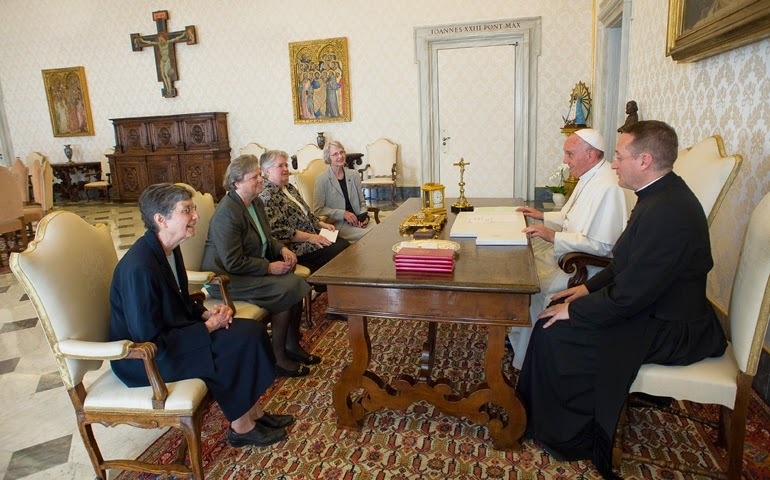 Then it will be time for a conversation between Francis and women priests. The world is different now . . . or is it? 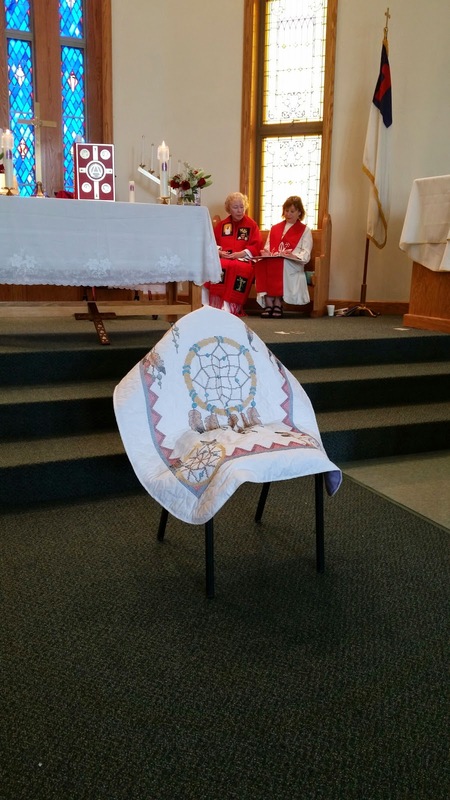 Last Sunday we celebrated the resurrection of Jesus Christ. It was a day to celebrate new life, the hope of life eternal, the defeat of death. We tend to get a little carried away with Easter, and for good reasons. We tend to use exaggerated language. Easter is the day we put on rose colored glasses and try to see the world in a very hopeful, optimistic way. We try to convince ourselves that we are leaving all that negative stuff behind and then, boom, the reality of life and death and suffering shows up in our rear view mirror. I suspect most of you have been pulled over a time or two by the police for a traffic violation. You’re just cruising down the freeway, listening to Led Zeppelin or Hank Williams, talking on the cell phone, and then, boom, those lights appear in your rear view mirror and your heart almost jumps out of your chest. That’s what life is like after the hype of Easter. The real world has a sneaky way of showing its ugly face again. People die, jobs are lost, relationships break up, you get a flat tire—whatever can happen will happen it seems. Murphy’s Law is no respecter of Easter. If there was one person in the New Testament who understood all this, it was the disciple known as Thomas. At first, Thomas wasn’t buying all that sunny optimism of the resurrection stuff. There was no reason for him not to keep thinking life was nothing more than pain, sweat, and sorrow. There was no reason for him to think that the world was any better than it was before. In fact, in his mind it was worse. His friend and mentor, Jesus, had been executed, and he, along with his friends, were hiding from the people who killed Jesus. The world was different . . . but worse. Someone they knew and loved, someone they had been with on a daily basis, was now gone. A big gaping hole existed in this “new” world. For any of us who have ever lost a loved one, we know this feeling all too well. And yet, despite what our logic and our senses and our experiences tell us, the world is different now. We just need to learn how to see it. There is a good reason why the word “doubt” has been attributed to a man who was obviously much more than a mere doubter. What happened to Thomas is also difficult for us to believe. Nevertheless, we should open our ears to hear what this story and the other post-resurrection stories are trying to tell us: The world is different now. It may not seem different to us because people we love are still dying, people are hurting, and Murphy’s Law is still in effect, but it is different nonetheless. The question is, “how is it different?” To answer that, let’s look closely at the story in John 20. Jesus had been executed a few days earlier. The disciples are gathered behind closed doors because they are understandably fearful for their own lives. For whatever reason, Thomas is not with the other disciples in that room when they have an experience they will never forget. The same Jesus who had been crucified a few days earlier suddenly appears among them. He gives them his typical salutation, “Peace be with you,” which was designed to have a calming effect. Almost morbidly, he shows them his pierced side and nail scarred hands, just to prove that he’s the same guy who was crucified. Then, with no discussion or debate whatsoever, he sends them out on a mission of forgiveness. Literally, he is ordaining them for this mission. Can you imagine that? I find this to be one of the most overlooked aspects of this story. Here is a man who had been executed, and after his death and resurrection he is ordaining his followers to go out and be a force of forgiveness. Who are they asked to forgive? Obviously those who had killed Jesus. Jesus then suddenly disappears as quickly as he had appeared. “Bah humbug. Unless I see the nail marks in his hands, and put my hand into his side, I won’t believe.” The world is different? Right. Well, as fate would have it, he would get that chance to observe Jesus’ wounds eight days later. By the way, can you imagine how crazy those eight days were? The other disciples saw what they saw, and still they couldn’t convince their friend. Each day that went by Thomas must have become even more retractable. There was no way he was going to recant his doubtfulness. I hope he wasn’t one of those know-it-all kind of people, constantly arguing with his friends and telling them how stupid and lame they were. So when Jesus suddenly appeared again, this time with Thomas present, Thomas was forced to put his doubts aside and eat a little crow. At this point I can just hear the more immature members of the group saying, “Told you so! Told you so!” Let’s hope that didn’t happen either. Most of us who read this story with a critical eye think to ourselves that we totally get why Thomas would doubt what his friends told him. There is too much to swallow in this story. A man who was executed is now alive? On the one hand, he is a ghostly figure who walks through shut doors. On the other hand, he has a physical appearance with visible wounds. How is that possible? The problem with these post-resurrection stories is that we tend to get bogged down in the details when all we are really asked to do is find the meaning. And, once again, the meaning of this story along with all the other stories that emerged after Jesus’ death is that the world is different now. Is it different because death has been defeated? Not in any discernible way. Death is still part of the condition of all living beings. Is the world different because Jesus could magically be a ghostly figure and a physical presence at the same time? No, because even if that happened to Jesus, it doesn’t happen to you and me. Here’s why I think the world—post-resurrection—is different now: A man who was executed ordained his followers to go out and forgive those who had executed him. I don’t think we truly realize how much difference that would make in the world if all his followers had the same determination to be a force of forgiveness. The world would be different if his followers would continue to walk the same graceful path he had walked upon in his life. The world is different because even though people continue to die, and suffering continues to be part of the human condition, none of that has to be the last word. Presider: In the name of our Provident God who shares divinity with us, in the name of our Provident God who shares humanity with us, in the name of our Provident God, Spirit, Sophia who inspires and unsettles us! ALL: Amen. ALL: Holy One who creates hope in us through each new spring, we are grateful that winter is over. We rejoice in Mother Earth awakening. We celebrate the greening of the earth, the nesting of birds, and the flowering of our yards. Presider: May the God of love encourage and nurture new life within us. 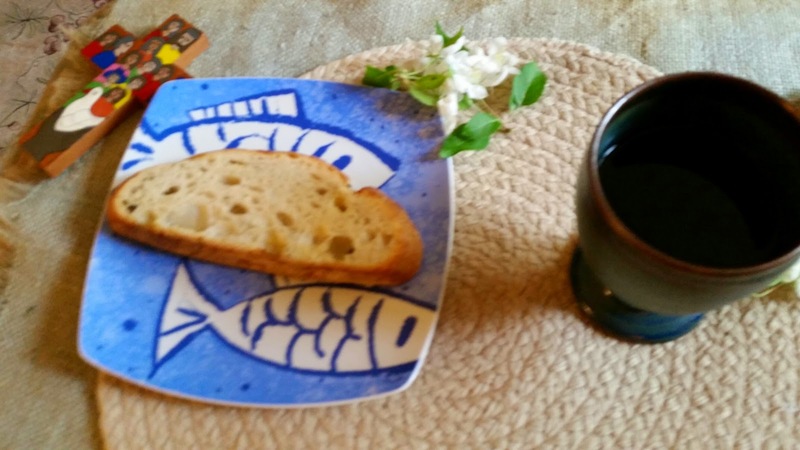 May we trust in God’s Spirit moving with us, in us and through us as we reflect the creativity of God at work and at play in this longed for springtime. ALL: Amen. Oh Great Spirit of the East, I face you to understand birth and new beginnings. Of babies, puppies, new seasons, new ways of doing things. Teach me the mysteries of Beginning. Fertility, warmth, and the extravagance and colors of creation. Come to my mind and feet and lead me in the adventures of the South. Oh Spirit of the West, I turn to you to understand dying. Friends, generations, the seasons, and old ways of doing things. I too shall arise in a new life some day. ALL: In the name of our God who dwells within us, in the name of our God who is bearer of earth's magnificent gifts: daffodils and willows, sparkling lakes, flocks of geese and mallard ducks, cardinals and finches; in the name of our God who dances on moon beams, and leaps for joy across the heavens; let us give thanks and praise. the birds of the air will tell you the truth. let the fish of the sea become your teachers. Who among all these does not know that the hand of YHWH has done this? In God’s hand is the soul of every living thing; in God’s hand is the breath of all humankind. Continue this labor and make sweet floods to run and noble and abundant fruits to spring. Take this food and this drink and carry it to God as your gift. This also is the word of God. 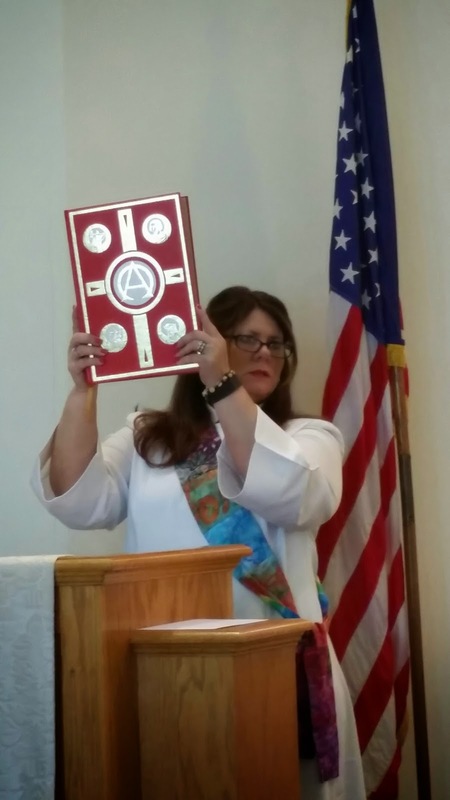 Reader 7: A reading from the Gospel according to Mark …. ALL: Glory to you O God. Reader: The good news of the Resurrection! ALL: Glory and praise to Jesus the Christ! We believe in God, creator of beauty and promise who dwells with us and the entire cosmos as mercy, infinite love and incomprehensible mystery. We believe in God made known to us in Jesus, Wisdom teacher and healer, prophet of peace and justice who challenged the Law in favor of reverence and respect for our human conditions. We believe in the power of Holy Spirit-Sophia who renews the whole of creation, who strengthens us in hope and gives us courage on our faith journey. 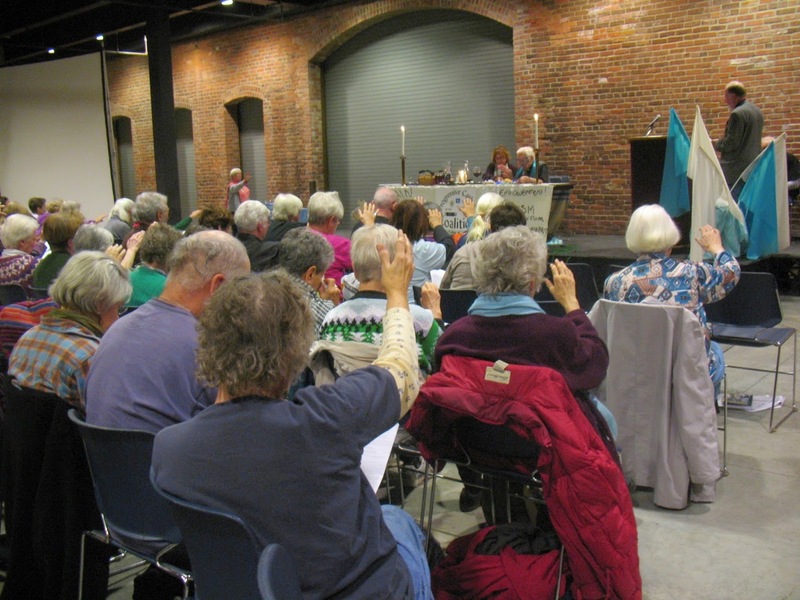 We believe in the People of God together in community learning forgiveness of self and others, reconciling alienations and divisions, and with God in unfolding a new creation. Presider: Let us dance together the dance of new beginnings.That we may care for the cosmos in which the Holy One is revealed, we pray to you our Creator... 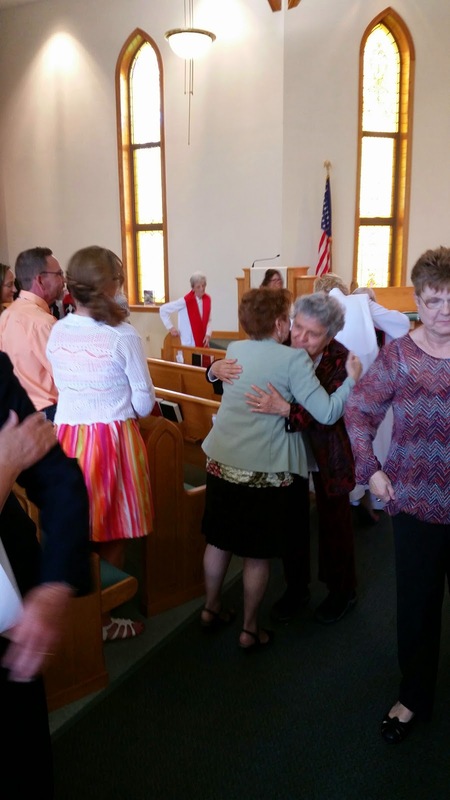 Response: Renew us, O God! Presider: That peoples everywhere will cherish and care for creation and that leaders will recognize their responsibility towards the environment, we pray to you source of new life, ...R.
Presider: That each of us will embrace ways to reverse the harm done to our environment, we pray .. R.
Presider: For protection from spring storms especially tornadoes, flooding and lightening, we pray to you source of our life. R.
Presider: God dwells in you. ALL: And also in you. Presider: Lift up your hearts. ALL: We lift them up to God. Presider: Let us give thanks to our God. ALL: It is right to give God thanks and praise. God of amazing surprises, Creator of butterflies, stars and planets, Designer of earth's wonders, Giver of life and laughter, we praise your passionate love hidden, yet revealed, everywhere in our world. We thank you that from the beginning, you called us to partnership with all creation in the holy dance that is all of life in your Divine Presence. We praise you as we jump for joy in an explosion of grace that resounds through the universe. ALL: Holy, Holy, Holy, God of dance and song, heaven and earth are robed in your glory. Hosanna in the Highest. Blessed are You who dwell among us. Happy are we who are called to this banquet of unending joy. Hosanna in the Highest. We praise you, Christ, who calls us to deep intimacy in this Eucharistic celebration. We offer thanks for this gift, the Bread of Life and the Cup of Joy, that will heal our hearts and transform our lives. ALL: Christ, in your dying and rising, all creation leaps together toward a new earth and new heavens. Although we come from diverse backgrounds, we are one body, for we all share in this one bread. And so, as we join with one another in the cosmic dance, Creator God, we celebrate your holy presence in every living thing. Let us live as a new body, brought to birth by the Spirit of the Risen One in acts of forgiveness, healing, and justice. Let us support all who suffer and work for peace in lands torn by violence and hatred where the flowers can’t grow and the children can’t play in the sun. Let us pray for an end to violence everywhere. ALL: Through Christ, with Christ, in Christ, in the resurrecting power of Divine Love, all glory and praise is yours, O Gracious God, forever. THE PRAYER OF JESUS: Our Mother, who is within, we celebrate your many names. Your wisdom come. Your will be done, unfolding from the depths within us. Each day you give us all that we need. You remind us of our limits, and we let go. You support us in our power, and we act with courage. For you are the dwelling place within us, the empowerment around us, and the celebration among us, now and forever. Amen. Presider: Jesus, You said to your disciples, “My peace I leave you. My peace I give you.” Look on the faith of all and grant us the peace and unity of your kindom where you live forever and ever. ALL: Amen. Presider: May the peace of Christ Sophia be always with you. ALL: And also with you. Presider: Let us offer each other a sign of peace.